After hundreds of thousands of kilometres in SPD sandals, I certainly don’t wear them for their looks. 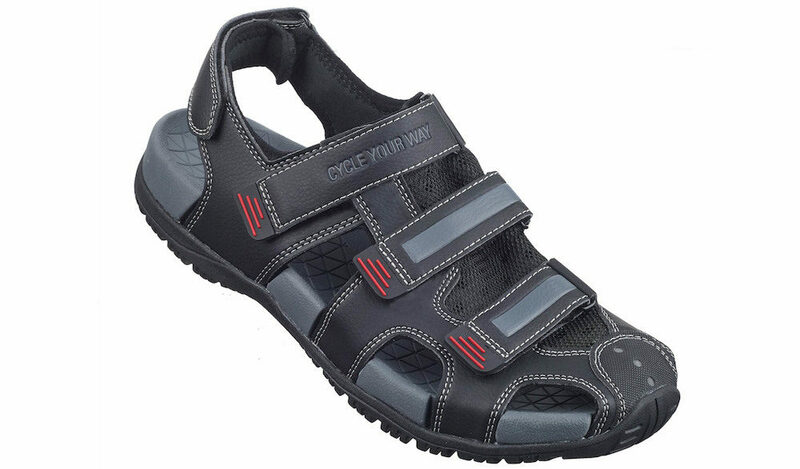 The thing is that SPD sandals are unrivalled in warm-to-hot conditions as there isn’t a more ventilating cycling shoe. 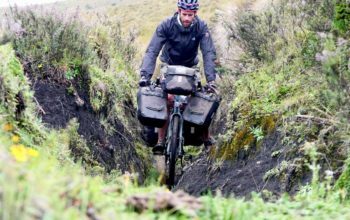 In addition, they dry almost instantly which is perfect after it’s been raining or you’ve waded through some river crossings. People tend to have the perception that sandals are for summer cycling only. I’ve actually found them to be excellent in winter too. 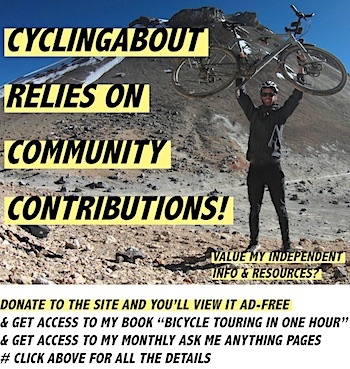 That’s why I’m using them on my latest bike tour: CyclingAbout The Americas. Let’s discuss why SPD sandals should be your next touring shoe! – Drying. 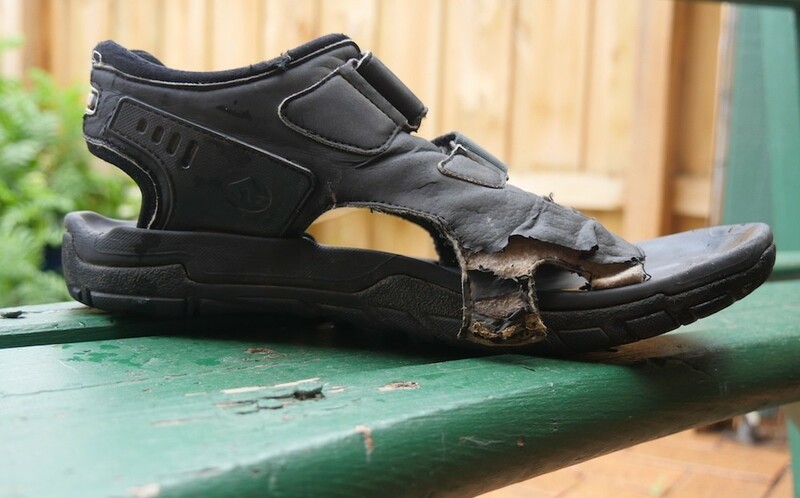 When sandals get wet, they dry out much quicker than a closed shoe. – Ventilation. The more holes, the more air flow. – Versatility. You can wear sandals with no socks, thin socks, thick socks, waterproof socks and any of those sock combinations with overshoes. This makes sandals suitable for all-weather conditions, including snow. – They’re not exactly known for their looks. – You can’t put shoe inserts or orthotics in them (provided your podiatrist recommends them). – Foot movement inside the sandal. Shoes have more surface area to hug your foot, making them feel a little stiffer and more secure under significant pedal power. – Your feet need to adjust to sandals. Some people may experience blistering from walking in their sandals. Take it easy! 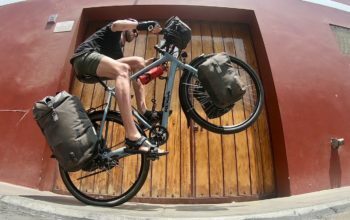 SPD sandals are the most versatile touring shoes. They are great in the desert and just as good in wet/cold conditions. How are they good for all weather conditions? 1. Wear your sandals without socks in conditions over 15 degrees Celcius. 2. Wear your sandals with thin, ventilated cycling socks for a bit more warmth/comfort. 3. 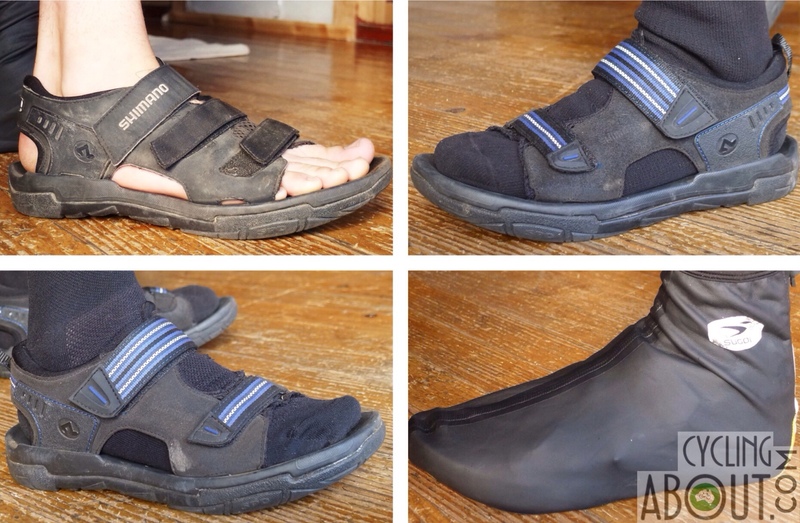 Wear your sandals with thick, waterproof socks in cold or wet conditions. 4. Wear your sandals with socks AND booties/shoe covers in super cold and wet conditions. Why Should You Clip In? 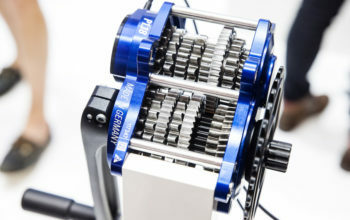 For more information, read my article A Look At The Advantages And Disadvantages of Clipless Pedals. I travel with open-toe sandals which combine excellent ventilation with interesting tan lines. I’ve never felt like I’ve needed my toes to be enclosed (over the last ten years I’ve never injured them). Cycling sandals are really durable. My last pair (Shimano SD-65) gave in after eight years of heavy use. 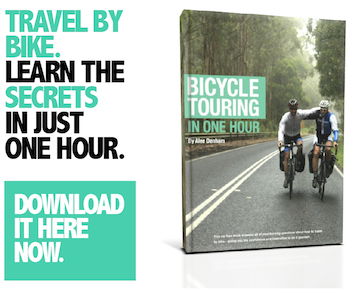 They would’ve done over 100,000km, including some seriously long tours which are always pretty tough on gear. If I get that kind of mileage out of my current Shimano SD-66 sandals – I’ll be super stoked! 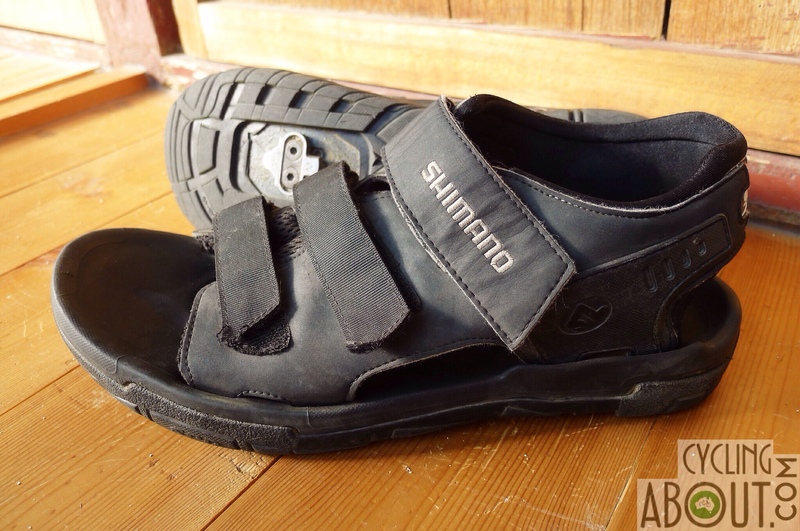 My Shimano cycling sandals lasted eight years of heavy use before eventually busting. Can You Walk in SPD Sandals? 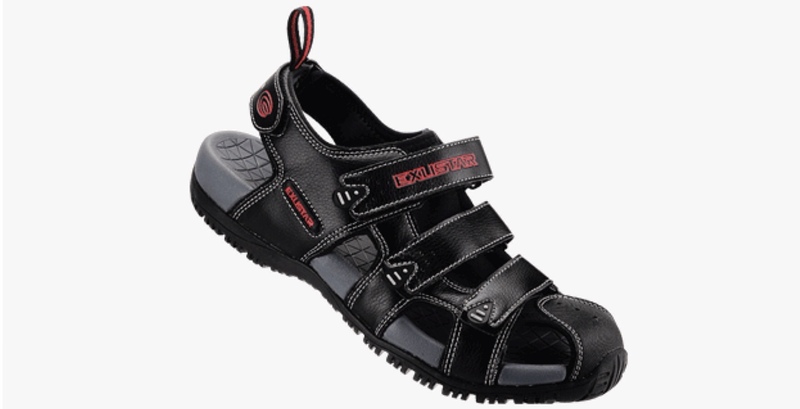 Walking in SPD sandals is similar to walking in casual SPD shoes: they’re stiff and perhaps a little bit noisy. The metal cleats ‘click’ on hard surfaces when I walk which can be mildly annoying. You don’t want to spend all day walking in them, but if they’re the only shoes you’ll carry on tour, they’ll be fine. 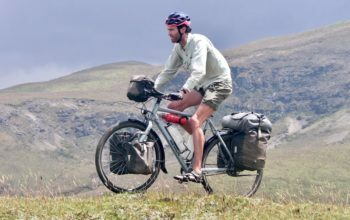 What Cycling Sandals are Available? My take: The latest offering from Shimano. They’ve lost the same level of stiffness as previous editions but they are better suited for walking. 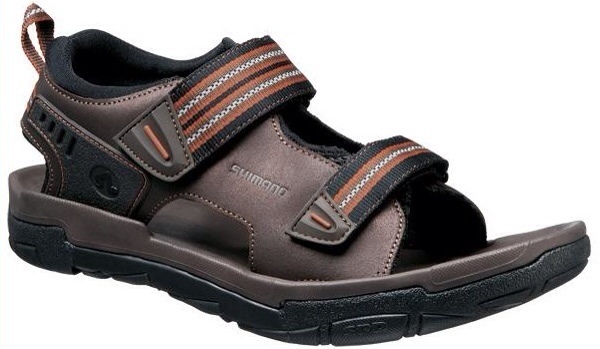 I like the open-toe design of Shimano sandals as it provides optimal foot ventilation. 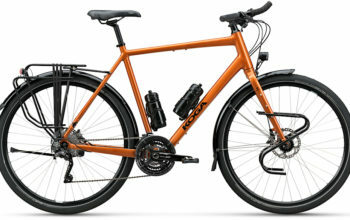 My take: If you can still find a pair, I’ve found the SD66 to be perfect for bike touring, but not the best for walking due to the stiff sole and the metal cleats which will scrape the ground. 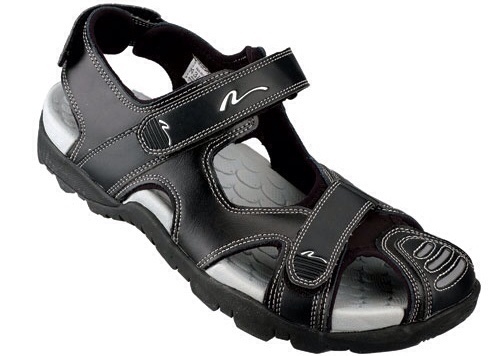 My take: The most famous adventure sandal company also manufacturers an SPD sandal which is in its fourth generation. No velcro on these puppies, instead they are tightened with an elastic cord. The Commuter sandals are known to be on the narrower size, so if you have wide feet you’ll be better off with Shimano. 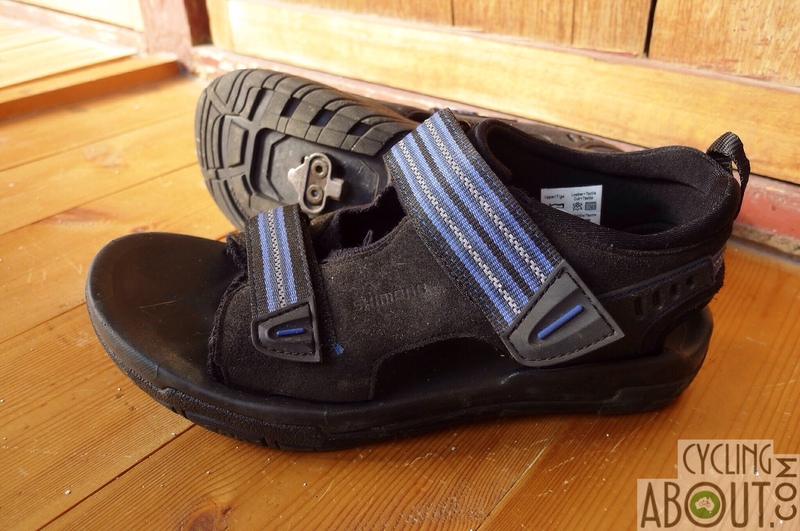 My take: They may be less popular than Shimano or Keen, but Exustar has been making sandals for some time now and rebrand them for other companies. My take: The Rose sandals are almost identical to the Exustars at the same price point. Find them and let me know what they’re like. My take: Super affordable. Often found for under half the price of Shimano or Keen sandals, they could be worth a try if you’re on a budget. 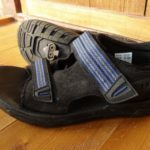 Have You Had a Good Experience with Cycling Sandals?